The good new is we have some really great options available in stock at super competitive prices. The downfall of a farm house sink, is that replacing a standard sink with this type of sink, isn't a simple change. Farm house, or apron front, sinks have an exposed front surface. This means the cabinet is not covering the sink front, like it would a standard sink. 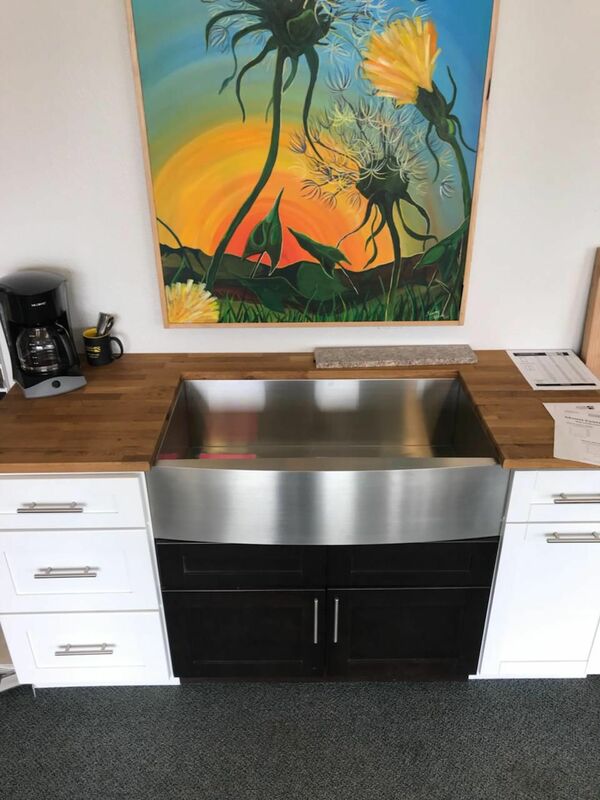 Therefore, the cabinet under the sink must be modified to accommodate this by cutting down the front of it and installing smaller doors, a task more difficult than it sounds. Often cabinet doors are not available to buy in the correct size, so a whole other cabinet must be ordered! 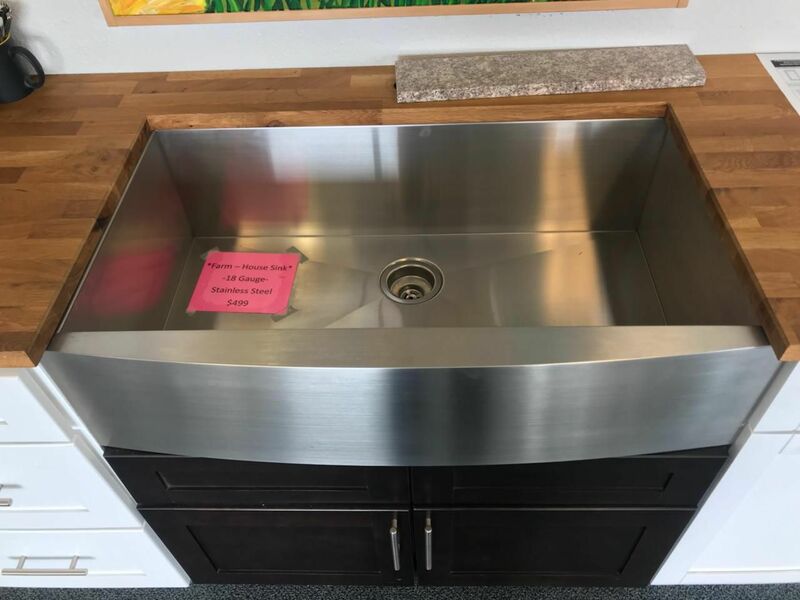 If you are installing all new cabinets, incorporating a farm sink with the correct sink base is usually not a big deal, but it is important to make sure the correct cabinets are ordered for the sink. If the farm house style has stolen your heart, just keep in mind it might be a bigger project than you anticipated! If you need help figuring out if it's a possibility for your kitchen, or planning a new kitchen we would love to meet with you and go over your options.